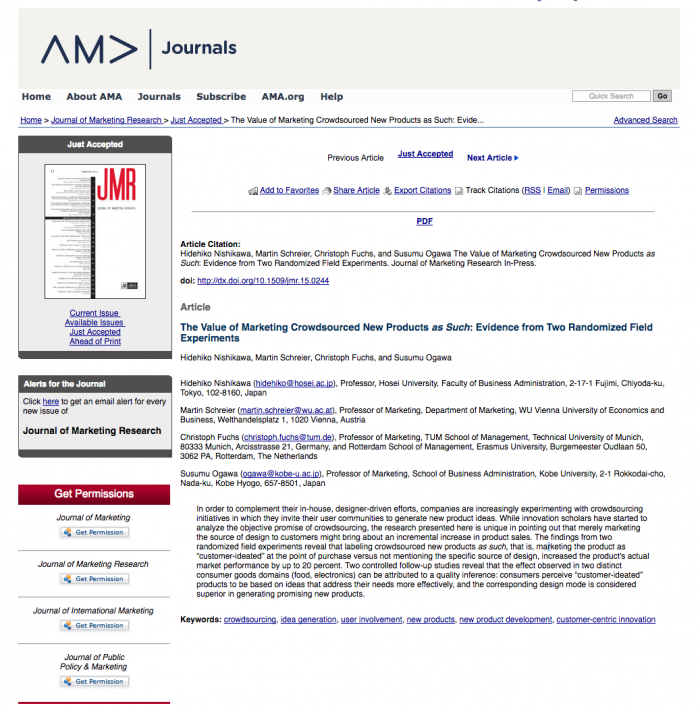 Hidehiko Nishikawa, Martin Schreier, Christoph Fuchs, and Susumu Ogawa(2017) ” The Value of Marketing Crowdsourced New Products as Such: Evidence from Two Randomized Field Experiments,” Journal of Marketing Research, Vol. 54, No. 4, pp. 525-539.